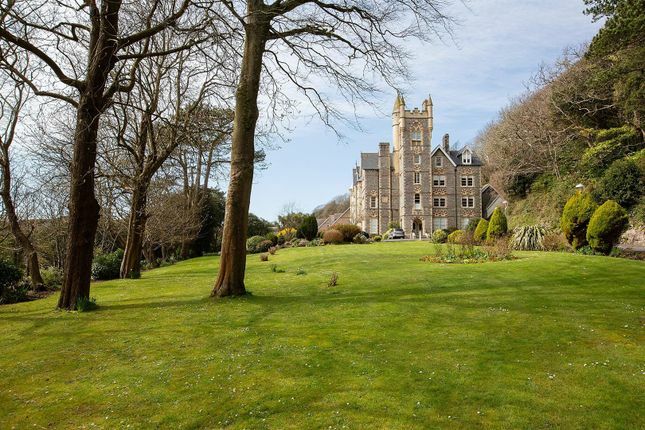 Astleys are delighted to offer for sale this three bedroom apartment with sea views across Langland Bay, in the exclusive Langland Bay Manor development. The accommodation comprises; entrance hall, lounge, dining room, kitchen, bathroom and three bedrooms (two with en-suite) Externally the property benefits from landscaped communal gardens, security gated entry and residents parking. This is a lovely property enjoying sea views and finished to an extremely high standard. Located a stones throw from the beach, coastal path, golf course and the bustling village of Mumbles with all the shops, boutiques and restaurants it has to offer. Via security door to hallway. With intercom and cctv entry system, hand rail, doors to lounge, dining room, storage cupboard, bathroom, kitchen. A lovely room with two double glazed windows to front offering sea views. Hand rail. Coving. Ceiling rose. Radiator. With double glazed windows to front offering sea views across Langland bay and beyond. Hand rail. Coving. Radiator. a Fully fitted kitchen with range of contemporary base and wall units, with integral washing machine, dishwasher, fridge, freezer. Running granite work surface incorporating four ring ceramic hob with extractor hood over, electric oven under, one and a half bowl sink and drainer unit. Part tiled walls. Coving. Spotlights. Extractor fan. A beautifully appointed suite comprising; a low level w/c. Pedestal wash hand basin. Bath with shower over. Tiled floor and walls. Spotlights. Extractor. Coving. Heated towel rail. With two glazed sash windows to rear. Door to en-suite. Built in wardrobes. Ceiling coving. With a frosted glazed sash window to side. Low level w/c. Shower cubicle. Pedestal wash hand basin. Spotlights. Heated towel rail. Tiled wall and floors. With two double glazed sash windows to rear. Door to en-suite. Built in wardrobes. Radiator. Hand rail. Coving. With a low level w/c. Shower cubicle. Pedestal wash hand basin. Tiled floor and walls. Heated towel rail. Coving. Extractor fan. Spotlights. With a sash window to rear. Hand rail. Coving. Radiator. Communal gardens with seating areas, extensive lawns, car parking secure, electronic gated entry.